DxOMark reviews the Canon EOS R: How does the 30.3-megapixel sensor fare against its peers? Shortly after Nikon announced their Z6 and Z7 full-frame mirrorless cameras, Canon announced their new EOS R full-frame mirrorless camera. The EOS R features a 30.3-megapixel CMOS image sensor and a new RF mount. Last week, we featured DxOMark's reviews of the sensors in Nikon's Z6 and Z7 cameras. 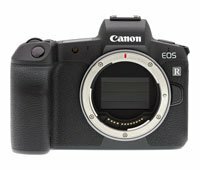 DxOMark has just published their review of the Canon EOS R image sensor. Looking first at key specs for the Canon EOS R, the 30-megapixel sensor is paired with a DIGIC 8 image processor and offers a native ISO range of 100 to 40,000. The EOS R can shoot at up to 8 frames per second with locked focus and can record 4K UHD video at up to 30 fps. With its 30-megapixel sensor, the EOS R sits in a rather interesting place in the full-frame mirrorless landscape. It offers more megapixels than the 24-megapixel Nikon Z6 and Sony A7 III cameras, but fewer megapixels than the Nikon Z7 and Sony A7R III, which offer well over 40 megapixels. The Canon EOS R earned an overall score of 89, which places it 29th overall among all small- and medium-format cameras in the DxOMark database. Its greatest relative strength is its "Sports" score, which measures low-light ISO performance. In terms of the Sports score, the EOS R places 27th overall and 5th place for full-frame Canon cameras. With respect to "Portrait" (color depth) and "Landscape" (dynamic range) scores, the Canon EOS R falls a good distance behind its contemporary competition. There is, of course, much more to a camera's overall performance than its image sensor, but for the full in-depth breakdown of the Canon EOS R's image sensor in general and compared to specific cameras, such as the Canon 5D Mark IV, Nikon Z6 and Sony A7 III, head to DxOMark's Canon EOS R Sensor Review. For our own coverage of the Canon EOS R, click here.